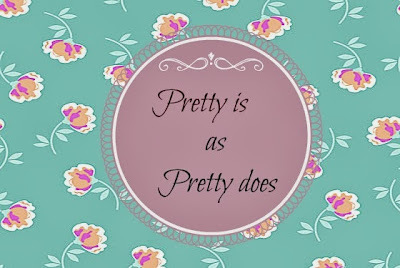 Do you like pretty things? Of course, you do and so do I! Our species likes pretty people, pretty places, pretty pets, pretty cars, we even like pretty food. We are all about PRESENTATION. One way to have a great presentation is physical. Women look better with makeup, men look better clean cut (personally I like a 5 o'clock shadow and long hair on men but don't tell anybody) and kids look better if they don't get dirty. There's nothing wrong with looking good but sometimes I think we take it to extremes. We wish to live in houses we can't afford - I'm guilty. We buy pretty cars that cost as much as a house - I'm not guilty. We come close to humanizing our pets because they are soooo cute. Could you love an ugly dog? And, what about our food? We need a colorful plate with variation. The United States probably wastes enough food on garnishes to feed a small starving nation. 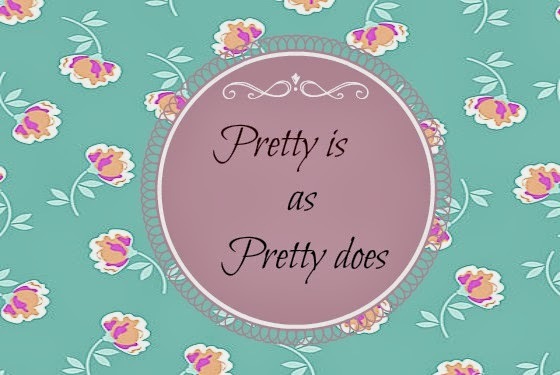 Yes, we're all about presentation, how we look and how others perceive us. Did you know we are giving a presentation every day? For people and for God. They're watching and listening to us. I hope God is shaking his head in agreement during our presentations. You shouldn't be nervous because he don't care about your clothes or your Sunday best. If you've been saved, you're wearing the most beautiful garment ever ...a white robe. He don't care where you live. He'll visit you, in your house, just like he did Zacchaeus. He'll ride in your car whether you drive a Mercedes or a Ford. He created your pet and he loves them all. He don't have to eat so quit worrying about dinner! Here's the moral of the story and one way to have a great presentation. If you aren't prepared for your presentation, it may turn disastrous quickly. For example, most people prepare their clothes before going to bed for the next day. Ever been undecided about your clothes and your wardrobe turn into a disaster? If you don't prepare for travel and fill your gas tank, you may be a walking disaster! You even have to plan dinner to get the right colors on the plate. Ask Jesus to rule over your day to avoid disasters with people. People are our most critical audience. God is our most forgiving audience. 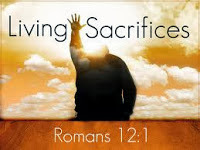 If you want to be presentable, follow the advice of Paul in Romans 12:1 "I beseech you therefore, brethren, by the mercies of God, that ye PRESENT your bodies a living sacrifice, holy, acceptable unto God, which is your reasonable service. Have you worked on your Godly presentation lately? Leave me a comment and let me know how this devotional spoke to you.